Finding affordable car insurance is not as challenging as you may think. For example, good drivers are often eligible for discounts on their premiums just for maintaining a great driving record. There are many other ways to cut the cost of auto insurance as well. We’ve assembled a list of 50 ways to get better car insurance deals, find auto insurance discounts and reduce your overall insurance costs. Even if you are in a high risk category, such as teens or seniors, you can find ways to save on car insurance. Before we get started, let’s talk about one of the very best ways to get affordable car insurance, which is to work with an independent agent, like Masterpole Murphy, in the Trusted Choice® network. Masterpole Murphy will brouse multiple insurance companies to find the lowest cost car insurance that meets your needs. They will also help to find additional discounts for you, like bundling multiple policies together. 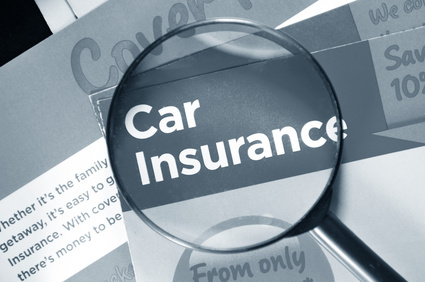 Saving on your car insurance costs starts at the research phase, when you are looking for your next car. And it continues when you are at the dealership kicking tires and choosing the vehicle you want to drive home. You may want to have your insurance agent on speed dial when you’re walking through the show room floor. 1. Compare insurance costs when you are researching cars to buy. For example, check out the difference between the costs of insurance on a brand new car, vs. one that has been used for test drives. 2. Choose a low-profile car. Certain cars are much less likely to be stolen than others. These low-profile cars can result in more affordable car insurance. 3. Choose a hybrid. Hybrid cars can yield discounts in a variety of ways, including lower cost insurance from some insurers who believe hybrid drivers to be safer as a group. 4. Drive a car that is considered lower risk. When you think about it, it makes sense that drivers of car models with lots of horsepower are more likely to have accidents than people who drive a Buick Rendezvous or Ford Fusion. Your insurance company will reward you for making the safer choice. 6. Choose a car that is cheap to repair. Not only will this save on your overall auto costs, but it may be reflected in your insurance premium as well. 7. Buy a car with built-in motorized seatbelts. Passive restraint mechanisms that the driver and passengers do not need to actively engage are a discount incentive to many insurers. 8. Choose a car with dual airbags. Again, mechanisms that promote driver and passenger safety automatically can result in lower insurance costs. 9. Consider a car with anti-lock brakes. Vehicles with an anti-lock brake system (ABS), help to prevent dangerous skidding in slippery conditions. 10. Purchase a vehicle with a built-in anti-theft device. If your car does not come with one, buy an after-market theft deterrent and have it installed. These devices immediately reduce the risk of your car being stolen which can lower your premium. 11. Buy a car with daytime running lights. Driving with your lights on makes you more visible and statistically less likely to be in a wreck. Automatic daytime running lights mean you don’t have to take action to turn your lights on, which is an incentive to auto insurance companies. The next set of ways to get discount auto insurance has to do with the types and amounts of insurance you buy. Note that when you are looking for discount car insurance quotes, it is important to make sure you are getting adequate coverage, and you’re working with a high quality company. Getting cheap car insurance won’t be a great deal if you are not covered for the costs of a bad accident or a liability suit. 12. Get multiple quotes. It is important to get more than one quote because costs can vary significantly from one insurer to another. Just make sure you are comparing the same limits and deductibles. At the Masterpole Murphy Agency, we can research multiple quotes for you and provide you with several options to choose from. 13. Get even more quotes if you are in a high risk group. For people considered high risk, such as teens, the range of insurance costs is much greater. 14. Switch insurance companies. If you’re not happy with your service and costs, switch to an agent who will provide excellent service and shop for the best quote for you. You may also get a new customer discount. 15. Ask for a long-time customer discount. If you are happy with your service and pricing, and you are staying with your insurer, you may qualify for a customer loyalty discount, or a renewal discount each year you renew. 16. Bundle your policies. Getting discounts for bundling multiple policies is one of the easiest ways to reduce your auto insurance costs. You can combine home and auto, multiple auto policies, and often other policies as well, such as your boat and RV. 17. Pay annually instead of monthly. The premium you pay will be less if you pay in one lump sum annually vs. in installments. 18. Only buy what you need. Take a good look at the coverage you are buying. If you have plenty of injury coverage through your employee health program and disability insurance, you can probably keep your personal injury protection (PIP) coverage to a minimum. 19. Only report the big stuff. If you have a small fender bender, seriously consider whether you want to report it or pay out of pocket, since there is always a risk of increased premiums after any incident or violation. 20. Pay for services you need only once. For example, if you have an association membership that pays for towing and roadside assistance, you don’t need to buy this coverage from your insurance company. 21. Assume more risk. Increasing your deductible is one of the quickest ways to lower your premium. Just be aware that you should have the deductible amount socked away in the event that you do have a devastating accident. 22. Reduce coverage on older cars. Carrying higher deductibles, and eliminating towing and rental reimbursement coverage may be wise. 23. Drop your collision coverage entirely on an older car. Paying to protect the value of a low value car (minus the deductible) might not make sense. If the car is worth only $1,500, it’s probably not worth buying collision coverage. 24. Review your insurance annually. Go over any changes in your life and family that can improve your premiums. For example, has a young family member gotten married and moved out? 25. Ask if your insurance company offers accident forgiveness. This typically means the company will not increase your premiums if you have just one accident and an overall good driving record. 26. Make sure your insurance company has accurate facts. Your auto insurance company will base your rates on factors such as your age and your driving record. You may be eligible for a lower rate if you’ve recently made a change, such as working from home and driving fewer miles each week. Make sure you ask for discounts you may be eligible for in the handy list below. 27. Ask your insurer about discounts based on memberships. Some insurance companies may offer discounts for Mensa members, members of alumni organizations, or auto club members, for example. 28. Ask about discounts for associations. For example, if you belong to a professional association, such as a trade association or union, you may be eligible for partnership discounts. 29. See if you qualify for a good driver discount. The length of time you must have a driving record that is free of any violations to receive a discount depends upon the insurance company, and typically ranges from three to five years. 30. Inquire about a spouse discount. Especially if you are newly married and combining insurance, you can often add the “better half” to your policy at a better rate than you would pay separately. 31. Ask for a good student discount. While young drivers pay more due to increased risk, those with excellent grades may qualify for discounts. 32. Inquire about a discount for a student driver who lives far from home. If the young driver in your family moved to another state to attend college, and does not have a car at school, you may be able to insure that family member for less. 33. Get a driver’s education discount. Taking a driver safety course to improve your defensive driving skills may help you get discount auto insurance. Note that you won’t qualify for a discount if the course is mandated by a court due to a violation. 34. Ask about a senior discount. Mature drivers can typically obtain a discount on car insurance as of age 50 or 55, depending upon the company. Make sure you talk with your insurer and inquire, as it may not be an automatic discount. 35. Inquire about senior driver safety courses. Mature drivers can often take senior safety courses, and obtain discounts on insurance for completing the course. 36. Ask about military discounts. If you are in the Reserve, the National Guard or ROTC, or you are retired from service, ask your agent about discounts that may be available. You may also qualify for discounts when you are on active duty. 37. Ask about government employee discounts. Current and retired federal employees may be eligible for reduced rates on their premiums. 38. Inquire about teacher discounts. Some companies view teachers as lower risk drivers and others provide certified educator discounts as a financial incentive to sign with them. There are many lifestyle and occupation changes you can consider making. Not all of them are practical for all people. However, if you do make lifestyle changes that may improve your insurance rates, make certain to share that information with your agent. 39. Be a safe driver and maintain a good driving record. Traffic violations add points to your driving record, which are reflected in increased car insurance rates. The cost of insurance can vary by hundreds of dollars annually for two people of the same age and gender, based on driving records. 40. Contest a speeding ticket if there is any reason you feel it was unfair. For example, if the speed limit sign is obscured by trees, or there is a very dramatic speed reduction in a short period of time, it might be worth taking this information to court. Be sure to take photos of anything that might help. 41. Find out if you can reduce, or even erase a traffic ticket. Some county’s in NY allow you to erase a ticket, such as a speeding violation, from your record if you take a defensive driving course. 42. Drive less and let your insurance agent know. The fewer miles you drive annually, the more affordable your car insurance will be. If you begin working one day each week from home, that will reduce the number of miles you are driving annually. 43. Park in a garage. Insurance companies often view this is a safety measure worth a discount. A vehicle parked inside a closed garage is less vulnerable to theft and storm damage. 44. Get married and stay married. Insurance is all about the numbers. Some insurance companies add in marriage as a factor in their insurance calculations because married people are statistically more averse to risk. 45. Move to a safer neighborhood. Cars in urban neighborhoods are statistically more likely to be the subject of car-jacking, accidents and vandalism than those in the suburbs. 46. Live in an area that is known to have less expensive auto insurance. Rates are often higher in areas where there is more litigation due to car accidents, higher auto repair costs and higher medical costs. 47. Choose a low-risk occupation. While changing your occupation may be an extreme way to get lower cost car insurance, it’s not a bad idea to think about your career plans when the opportunity arises. Engineers, for example, pay less for their auto insurance than many other types of professions because they are a statistically safer bunch. 48. Don’t drive for a living. Again, the more you drive, the higher your risk of getting into an accident and the higher your car insurance costs. If you are a truck driver who is at a career cross roads, choosing the office job will help reduce your premiums. 49. Maintain a good credit record. Many insurers use credit as a factor because, statistically, people who are responsible with money are more “risk averse.” This means they are less likely to gun it at the stop light, or swerve recklessly through traffic to get a few cars ahead on the freeway. Therefore, good credit can equal lower premiums. 50. Install a driver monitoring device. For example, you can get an electronic device that measures the amount of miles you drive, or how aggressively you drive. If you are in a high risk category, in particular, proving to your insurance company that you are a safe, careful and responsible driver, can potentially help you lower your premium. There are certain things you can’t change, including your age and gender. Experienced, middle-aged drivers pay less than teens. Women pay less than men. But maintaining your good driving record and adjusting as many variables in your favor as possible can make up the difference.